by Eric Hurwitz. Article updated on 3/23/18. The days of our parents taking us out to Bates Farm in Carlisle, Mass., was one of my greatest childhood memories. Watching Monday night baseball on a small Hitachi black and white, battery-powered television in the back of a phony, wood-paneled Ford LTD station wagon, taking brief glimpses of the wonderful countryside in between pitches, and then eating black raspberry ice cream on the car's tailgate with my brother, Marc, and an occasional neighborhood buddy, was something we looked forward to at every opportunity. The stars and sky seemed bigger than in our hometown of urbanized Arlington, Mass. The pace was more leisurely than a Perry Como concert and the flavors infinitely better than any of the 28 or 31 offerings at Howard Johnson's and Baskin Robbins, respectively. Plus, what Howard Johnson's or Baskin Robbins offered fresh air? All Howard Johnson's could offer was the smell of coffee, which we weren't allowed to drink at, say, seven-years-old. Baskin Robbins usually had an air conditioner that sounded like an supersonic jet. Bates Farm eventually became Kimball Farm, retaining its rural charm and great black raspberry ice cream (and so much more than that just that flavor). The main Kimball Farm located in Westford, Mass., however, didn't retain its quiet nature, expanding their ice cream stand with a miniature golf course, driving range, gift shop and an area for concerts (Gary "Dream Weaver" Wright once played here). The point is that even when an ice cream stand goes "Hollywood," you can't take the ice cream away. Just sample Kimball Farm's cherry vanilla or orange pineapple or just plain chocolate, and you'll realize that great ice cream rules over everything else. Sometimes the rural charm worked against a good ice cream experience. For the longest time, the smell of cow dung overwhelmed the joys of eating ice cream at Richardson's in Middletown, Mass. The smell isn't there anymore -- we suspect that there is an Army of Sharper Image air purifiers behind the trees that took care of this problem. Whatever the case, the air is more fresh, which makes the ice cream taste more fresh. Most ice cream stands are seasonal. One of the saddest sites is watching an ice cream stand "board-up" around Columbus Day. "Boarding up" takes away our love of ice cream, and suggests that it's going to soon snow like crazy -- a truly dreadful combination. You don't want to wish away time, but you do waiting for March to come around. Immediately after Columbus Day, you start thinking wishfully that the local Stop and Shop supermarket will offer Bubbling Brook (Westwood, Mass.) or Bedford Farms ice cream (Bedford and Concord, Mass.) to help us get through the winter, but it usually ends up to be some turgid brand, with no resemblance to our favorite ice cream stand ice cream. When the long hard winter ends, there's nothing quite like seeing those boards come off the walk-up windows. Sometimes the snow continues but customers, nevertheless, line up. It makes you wonder how good a business some of the ice cream stands would do if they stayed open all year. If spring suggests life in the form of ice cream stands, Memorial Day weekend signifies, to many, the beginning of summer. 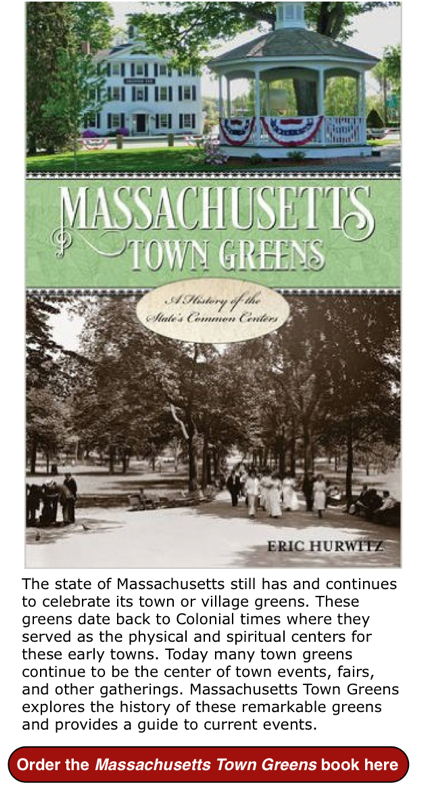 For example, great recent warm weather memories of White Farms in Ipswich, Mass., tie in with how previous generations felt about this institution that has been delighting families since 1953. There's really nothing quite like eating homemade ice cream on a White Farms picnic bench under the stars. Dad listens to the Red Sox game on the nearby car radio. Mom loves the pastoral setting that calms the children. The children marvel at the animal farm. They all love the ice cream. It is as much about a New England summer as the beach, the Red Sox, Cape Cod, or New Hampshire's White Mountains. Located on a quiet part of Ipswich on scenic Route 133 on the North Shore in Massachusetts, White Farms has always been a family tradition, especially after a long day at the stunning Crane's Beach or a day by the water and shops in the toy-like village of Newburyport. White Farms remains a timeless New England classic ice cream stand in one of the more beautiful areas of the state -- but only during the warm weather. 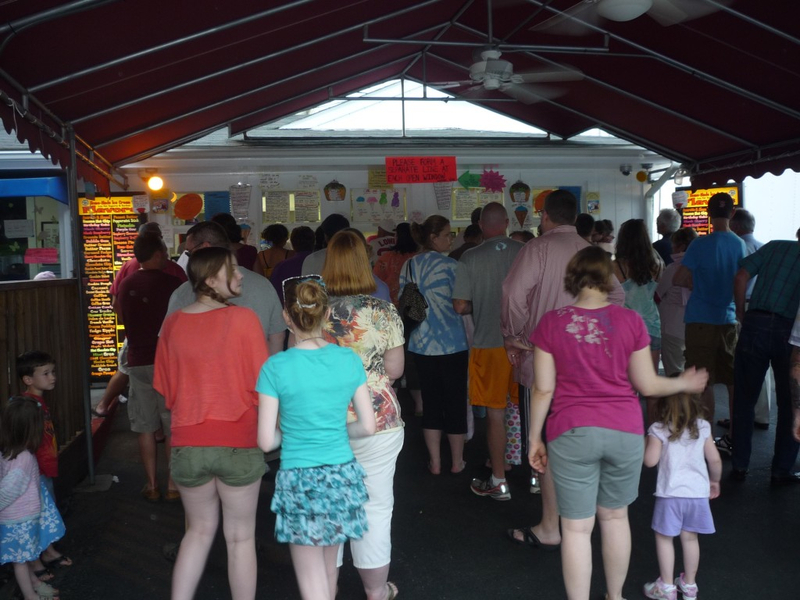 It would really be an injustice to not experience a New England ice cream stand during the summer. Almost never the focal point of the day, it is more a perfect companion to the beach, the mountains, a Sunday drive, or as an alternative to staying in air conditioning during the hot summer months. 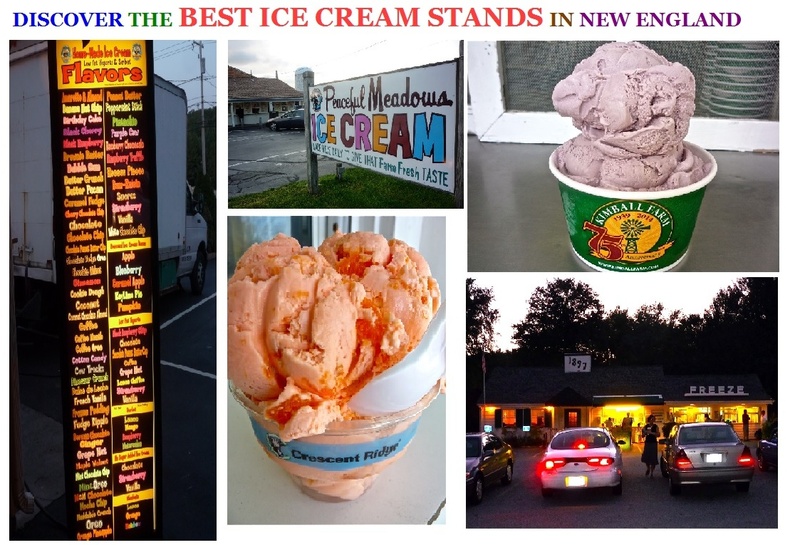 In its own right, the New England ice cream stand many times stands on its own as a nice scenic place to be as many have their own farms, animal displays, or at the very least a peaceful atmosphere to enjoy the flavor of your day. New England boasts many great ice cream stands, but we have set up a basic list for you to pick from. Enjoy! 1. 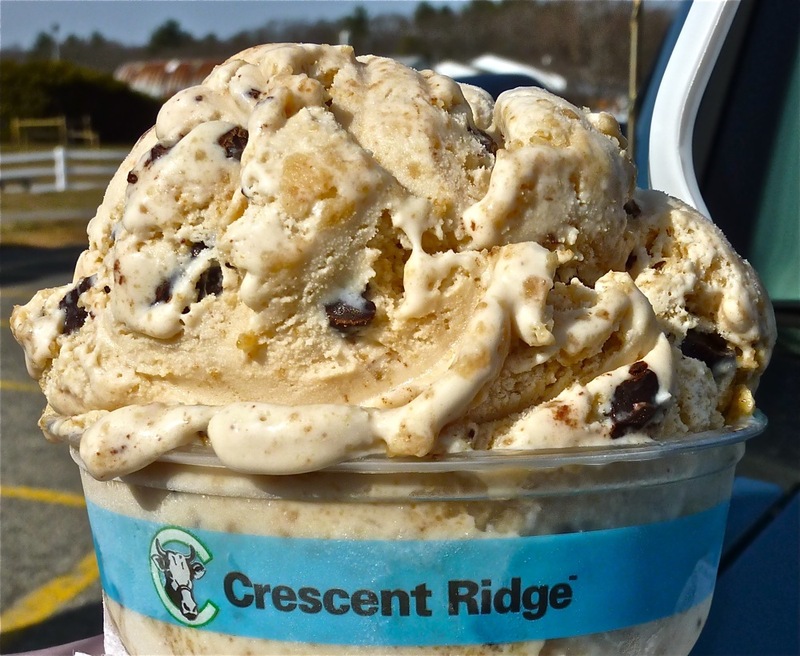 Crescent Ridge Dairy - Sharon, Mass. S'mores ice cream from Crescent Ridge Dairy Bar. 2. Kimball Farm Ice Cream - Westford, Carlisle, Lancaster, Mass. and Jaffrey, N.H. 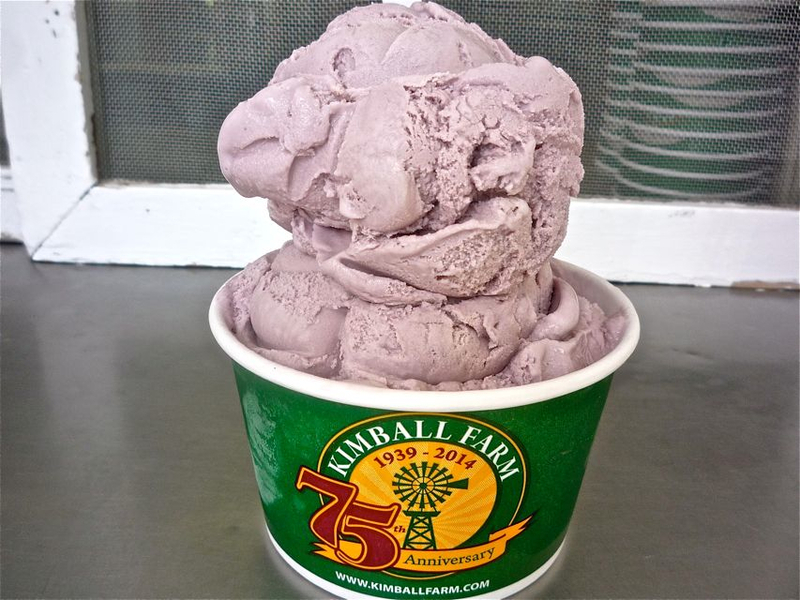 Famous for its ice cream, great value, approximately 40 terrific flavors and long lines, Kimball Farm (established in 1939) is just as good as ever. Expansion hasn't affected the quality of the ice cream with wonderfully creamy, accurate-tasting flavors. The small is like a large at many other places -- no "gourmet" attitude here to jack up the prices. Our recommendations: raspberry chocolate chip, cherry vanilla chip, butterscotch, pistachio nut, featured flavors like Irish coffee, gingersnap molasses, pumpkin and Heavenly Hash, and the gargantuan Kimball Special with your choice of three flavors, bananas and all the toppings. The flagship Westford, Mass., location is a tourist attraction on its own with an outdoor restaurant featuring local seafood, a country store with cafe, mini golf, bumper boats, batting cages, arcades, driving range, zip lines and animal displays. It's all fun and entertaining, but, to me, the amazing ice cream is still the main draw in Westford. I also equally love the Carlisle location for its more laid-back rural setting. Of course, the ice cream is just as good in Carlisle and at the other locations! Black raspberry ice cream from Kimball Farm in Carlisle. 3. The Ice Cream Machine - Cumberland, R.I. The Ice Cream Machine, Cumberland, R.I.
4. White Farms Ice Cream - Ipswich, Mass. 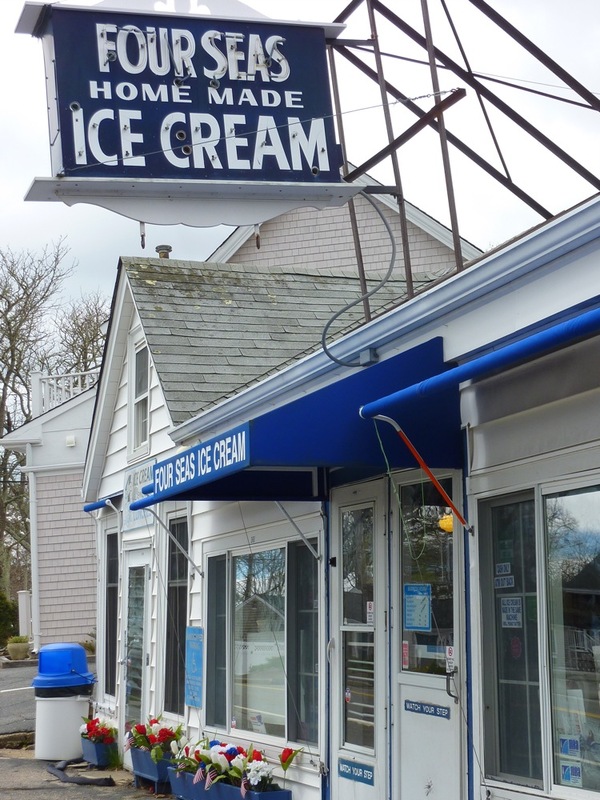 Since 1953, families have been magnetized to White Farms Homemade Ice Cream and with good reason: the tranquil surroundings, family-friendly atmosphere and amazing ice cream are a combination that captures the essence of New England summer fun. Located on a quiet stretch on Route 133, White Farms offers both hard and soft serve ice cream. The key lime pie ice cream is an ambitious idea that exceeds all expectations -- one try and you'll prefer it to the traditional key lime pie dessert. Raspberry chocolate truffle and M&M flavors may be offered by many quality ice cream stands, but somehow it tastes best at White Farms. Of course, the basics --chocolate, vanilla and strawberry -- go beyond basic at White Farms with the richest tastes possible. They also have a mini golf course. This is the "feel good" ice cream stand of New England. It also makes a perfect companion to a day at nearby Crane's Beach, or Newburyport, a lively, interesting coastal community in New England. White Farms Ice Cream, 326 High Street, Ipswich, Mass. Tel. (978) 356-2633. Open year-round. 5. Peaceful Meadows - Whitman, Mass. 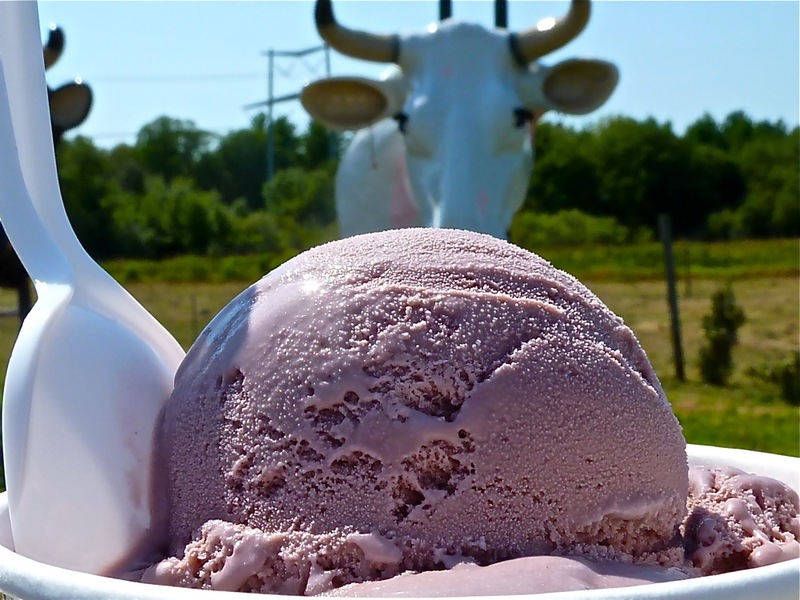 Black raspberry ice cream with plastic cow in the background at Peaceful Meadows in Whitman. 6. Bedford Farms - Bedford, Mass. Sixteen percent butterfat equals very tasty ice cream. Yes, the fat content might tip the diet scales in the wrong direction, but then again, do you really want to pass on some of the best ice cream in New England, including red raspberry chip, ginger, orange pineapple, Green Monster (mint chocolate chip with Oeros and fudge) and chunky chocolate pudding? Some consider Bedford Farms as the place to go when nearby Kimball Farms in Carlisle is too busy, but proponents say that the ice cream is every bit as good, if not better. Bedford Farms, 18 North Rd. Bedford, Mass. Tel. (781) 275-6501. Open for the 2018 season. 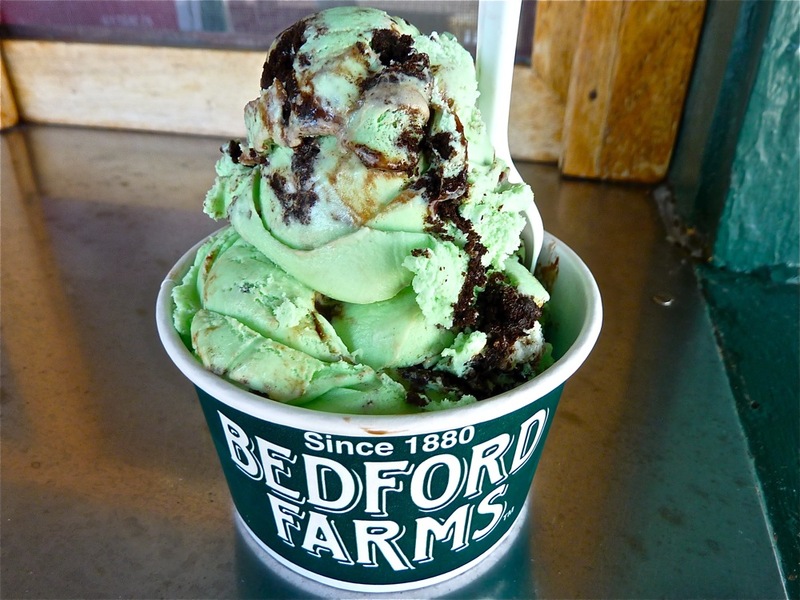 Green Monster ice cream featuring mint chocolate chip, Oreo pieces and fudge, from Bedford Farms. 7. Hayward's Homemade Ice Cream - Nashua, N.H.
Hayward's exemplifies that straight-from-the-farm ice cream taste better than most in New England. Creative, bursting-with-flavor ice cream selections like blueberry cobbler, Southern apple pie, Fluffernutter, and banana fudge make the trip worthwhile, but you can't go wrong with good old fashioned vanilla, chocolate and strawberry, either! A classic cream stand since 1940, Hayward's has certainly grown its business through the years but never lowered the quality -- the homemade ice cream taste, to go along with the well-known and appreciated friendly service, is what's still prominent. Hayward's Homemade Ice Cream 7 Daniel Webster Highway, Nashua N.H. Tel. (603) 888-4663. Open for the 2018 season. 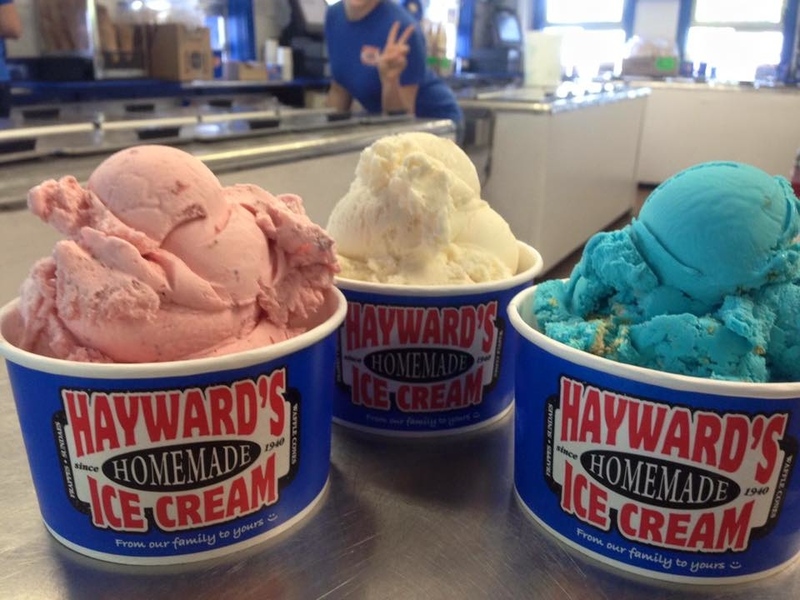 Hayward's Homemade Ice Cream is exactly that: homemade! 8. Bubbling Brook Restaurant - Westwood, Mass. 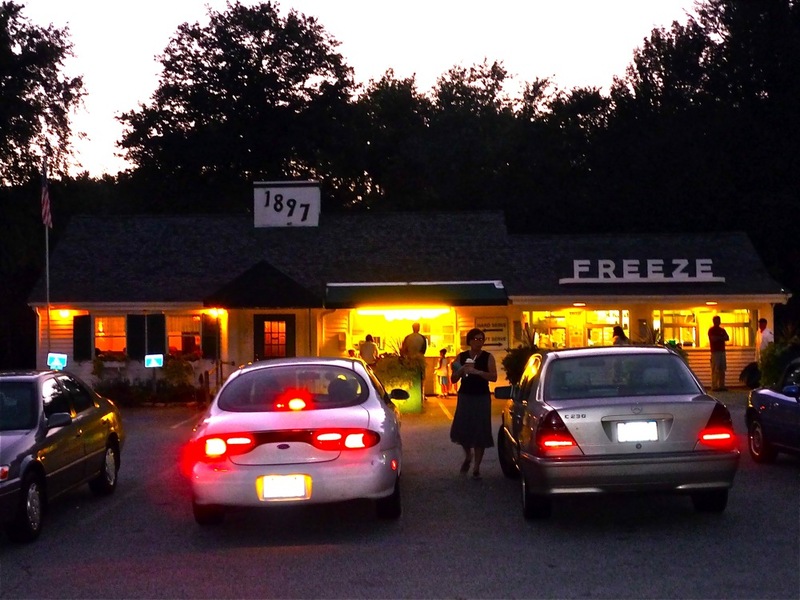 Bubbling Brook, established in 1952, is a classic ice cream stand with its people lining up at the order windows, picnic benches on expansive grounds alongside a brook, and bright under-the-roof yellow lights warmly illuminating the nighttime. A beautiful view of rolling farm land in neighboring Walpole can be seen from the ice cream stand. Bubbling Brook offers some excellent ice cream flavors, including pistachio, butter crunch, Reese's Peanut Butter Cups,, mocha chip, black raspberry chip, Heavenly Hash, "Chocolate, Chocolate Chip," and peppermint stick. Very good soft serve ice cream is served, too. Bubbling Brook also features a charming indoor dining room, with some fantastic comfort food offerings like franks and beans, hot turkey sandwiches, burgers, club sandwiches, whole belly fried clam plates, and early evening daily specials like homemade meatloaf (Sunday), fried chicken (Monday), grilled chicken breast (Tuesday), fried haddock sandwich (Wednesday), roast turkey breast (Thursday) and fried haddock (Friday). Bubbling Brook, 152 High St. (Route 109), Westwood, Mass. Tel. (781) 762-9860. Open for the 2018 season. Want a larger serving of Bubbling Brook? Read our detailed feature story here! Bubbling Brook ice cream stand and restaurant in Westwood. What a perfect combination: the fresh salt air oceanside presence of Cape Cod and a great ice cream stand. For decades, the Four Seas has been serving locals and vacationers some wonderfully innovative ice cream flavors. Dating back to childhood, this writer has tasted amazing flavors like cantaloupe, ginger and lemon stick, as well as the obvious choices like vanilla, chocolate and strawberry. Four Seas is a great companion to a sunny Cape Cod day, especially that lemon stick! Four Seas Ice Cream, 360 S Main St, Centerville, Mass. Tel. (508) 775-1394. Open for the 2018 season. Four Seas Ice Cream, Centerville.